Acclaimed French interior designer Jean-Philippe Nuel has a lot of irons in the fire. 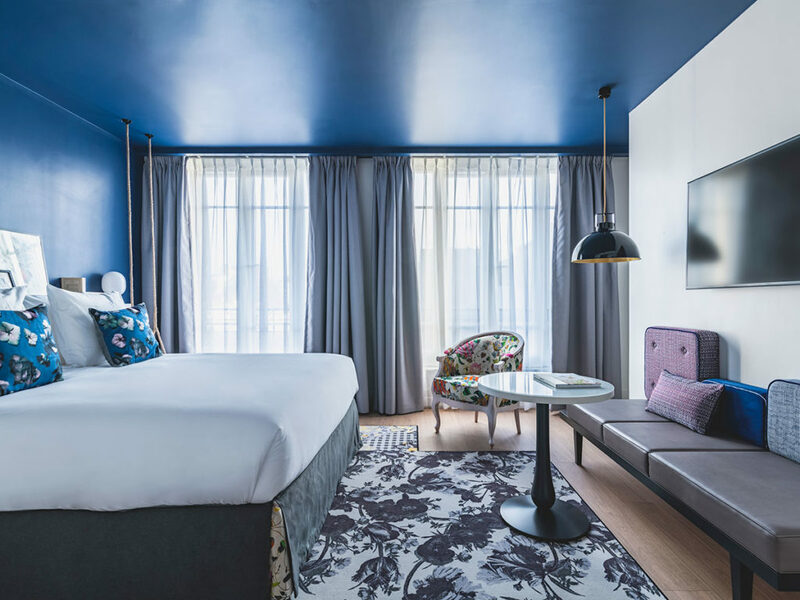 Recently, his creativity was highlighted during the unveiling of Innside Roissy in France. Aside from hotels, he’s involved in the design of luxury boats for cruise company Ponant, owned by François Pinault. “These are small boats designed as private yachts with high-end services like the companies of the Pinault group: Gucci, Saint-Laurent, Bottega Veneta,” he said. Nuel recently made a stop in New York for the opening of his new studio, which enables him to be closer to the action on this side of the world. 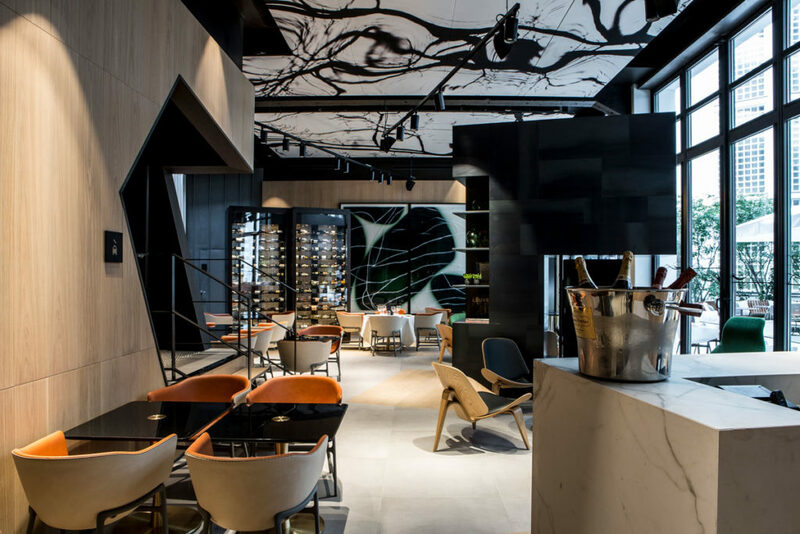 In a conversation with InspireDesign, Nuel talks about inspiration, creativity and his new launch pad on Park Ave.
What is your design philosophy and how does it influence hotel projects? I conceive of design as the materialization of our conscious and unconscious expectations. Being a designer means being attentive to the changes in our society, capturing them and transcribing them as projects. It is not fashionable; it is making projects that are in phase, in resonance with what we are and what we will be. If a project reaches this goal, it will be able to touch us, to move us not only as a decoration but as a living space, carrying a piece of ourselves. The hotels are in this approach particularly interesting because they constitute a micro-society where all human activities are represented. We work there, we live there, we restore, we relax, etc… It is, therefore, a formidable laboratory of the evolution of our ways of life. My inspirations are diverse, but complement each other to create a unique identity for each project . The “ethnological” and societal observation is important, to see how we work today, to see the need to stand out, to distinguish oneself through one’s choices, to see how luxury is a reward for oneself in our society. Each of these subjects could be the subject of a thesis. This almost scientific approach to the project is complemented by a more artistic and intuitive approach. In this context, cinema and literature are important sources of inspiration. Regarding literature, I see the project as a character novel, with all the complexity of its character and the broad lines that constitute his personality. It is often a woman that I seek to visualize, her physique, her character, her way of dressing or her way of living. I did a whole project where the image of a woman found in a fashion magazine remained in the background, because everything in the picture inspired the spirit of the project, the spirit of the place. Cinema is also very important. The entrance to a hotel is like the first shots of a movie where you are, if possible, immediately projected into an atmosphere and a universe—a charge for the client to finish his personal story attached to this place. 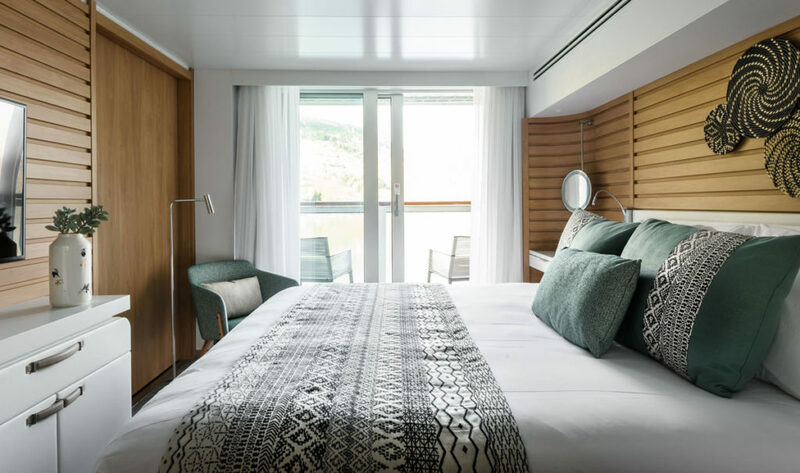 Designed by Nuel, Le Champlain is the second ship of the Ponant Explorers-class of cruise ships operated by Ponant. Where do you source creativity for your hotel projects? Hotel projects find their inspiration in these different approaches, but they are also influenced by the location of the project, the country, the city, the neighborhood and the architecture of the building. The interior design project is an extension of these elements that must give meaning and legitimacy by going beyond the mere aesthetic approach. Generally, the most interesting thing about hotel projects is that they are always different depending on their location, depending on the architecture of the building, but at the same time, they are always a reflection of our times. A hotel is a miniature reproduction of our society, because it is a place where we live, relax, play sports, meet people, restore and work. 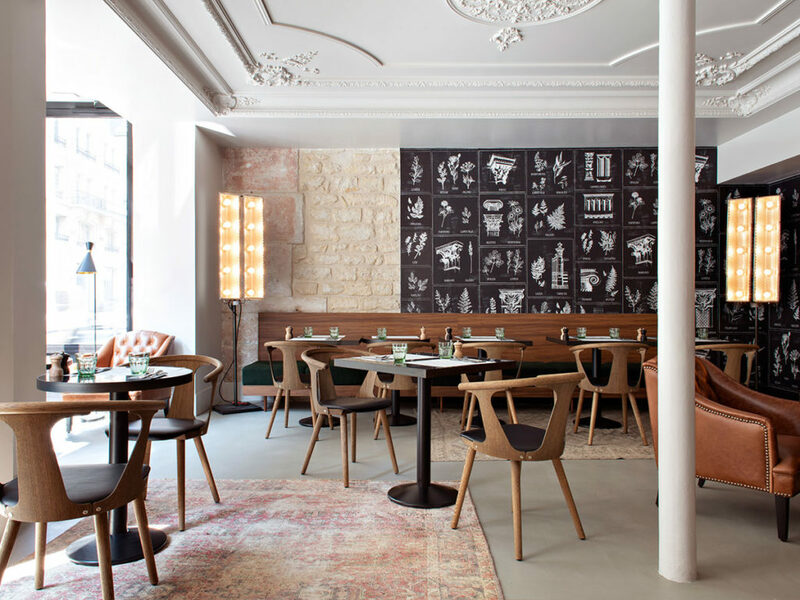 What do you love or find most interesting about designing for the hospitality industry? Hospitality projects are complex with many typologies of places to treat and also scales of very different spaces. You can constantly go, for example, from a hall with a high height to a very intimate space. This work with the notion of space, the very complexity of the programs is a real intellectual game that is very pleasant for an architect. I did an interview a few years ago in front of the old court of the city of Nantes, which was to be turned into a hotel. The journalist asked me in what state of mind I was before undertaking such work. I told him that it was like being in front of a big cake, in front of which I was going to be able to bite with a full tooth… all the gourmands will understand. What do you plan to accomplish with the new office? I have always loved the United States; I spent my last vacation with my family in California on a trip between San Francisco and Los Angeles. My office is in New York which, for me, is the most inspiring city in the world. This city is the image of what I like to do in my projects. The creation of this office is also an opportunity because I am associated with a friend, Sandy Stevens-Despres, also an interior designer who lives in New York. I think this direct contact with a person on the spot is essential to succeed. The ambition is only to make beautiful projects where one can bring a slightly different look. We already have contacts for a project in Manhattan and a villa in Miami.